I’ve been shamefully neglecting my blog lately because of extreme busyness, which is a good thing, but also insanity-inducing. 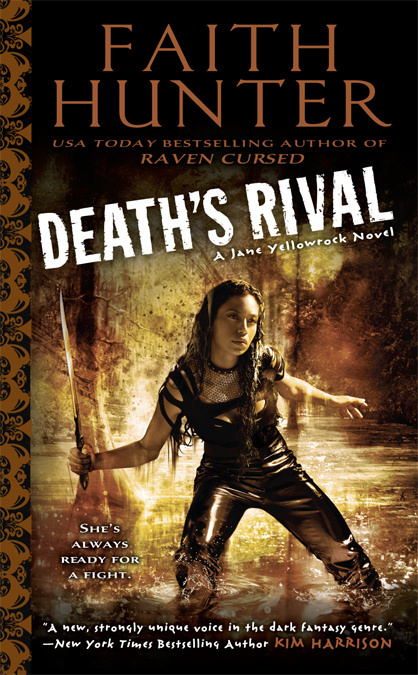 But I had to carve out a few minutes today to say a HUGE congratulations to Faith Hunter, whose latest Jane Yellowrock book, DEATH’S RIVAL is on the New York Times list for the second week in a row. Awesome news for an equally awesome author! In other amazing author news: Chloe Neill and Kristen Painter were both recommended in the USA Today article “‘Tis the season for fangs and flirting.” I don’t think they ever go out of season! Also, I just want to remind everyone that it’s Teen Read Week, so get out there and feed your own love of reading or help fuel another’s. This Sunday, October 21st starts the Crossroads Blog Tour with thirteen amazing young adult novelists (well, twelve and me). Check in daily for the question of the day and enter for a chance to win a Kindle pre-loaded with books from all of the participating authors. And check in here next week, I promise to step up my game!